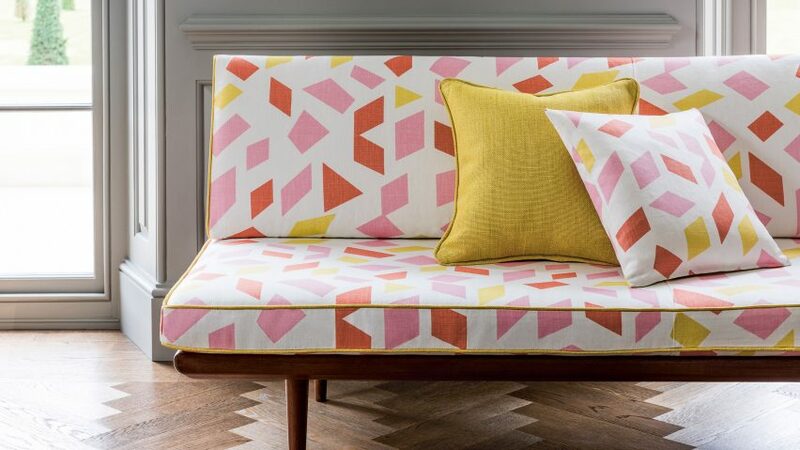 British textile brand Christopher Farr celebrates Bauhaus pioneer Anni Albers with its latest range of rugs and fabric designs. 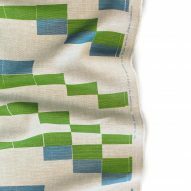 The designs are part of an ongoing collaboration between Christopher Farr and the Josef and Anni Albers Foundation, which has been running for 10 years. The latest collections are named Orchestra and Temple. 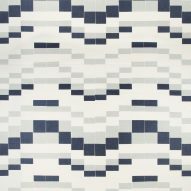 The pattern for Temple was developed from 1956 studies for the Ark hanging panels, produced for the Jewish Temple Emanu-El in Dallas. 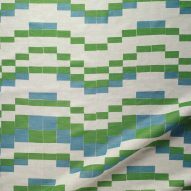 Albers created the geometric pattern by painting stripes across fabric, cutting it into strips and then playing with the arrangement of these vertical pieces. Orchestra was inspired by Anni's childhood visits to the Berlin Opera in the 1920s. It consists of quadrilateral shapes organised in a seemingly random pattern. "The shapes and colours evoke the instruments tuning up, the elegant velvet and lace dresses of the women attending the performance, and other memories," said Christopher Farr. Albers is one of the most celebrated talents to emerge from the Bauhaus school, regarded as the most influential art and design school in history. She was well known for her pioneering role as both designer and textile artist, and for revolutionising the traditional craft of weaving with her experimentation and modern design. As well as her weavings, she also made pieces of jewellery, prints and drawings. "I first came across her work in the mid-1980s, when I became interested in the work of the Bauhaus," said Michal Silver, one of the Christopher Farr co-founders. "But the real awakening came many years later when I was able to visit the Albers' foundation, spend time in the archives and delve through her work which resulted in a collection of five prints and weaves that we launched in 2012," Silver continued. "For many years her work was overshadowed by her husband Josef Albers or other people she is associated with. The passing of time has allowed her to be understood and appreciated as the great and prolific artist she was, a genius with magic hands that transformed simple materials into gold." 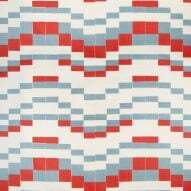 In previous collections of Anni Albers fabrics, Christopher Farr has worked with small scale, one-colour patterns. 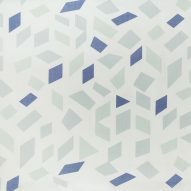 For the new collection however, Silver found herself drawn to Albers' larger-scale colourful designs. "She is inspiring. I find her fascinating, incredibly innovative, ahead of her time, eclectic in a very disciplined manner," said Silver. "She trained at the Bauhaus school but was able to keep to the essence and interpret the Bauhaus ethos in a very personal way which is relevant to what we are doing today." When working with an archival collection, Christopher Farr aims to remain as true to the spirit of the design as possible, using the original colour, pattern and size of the motifs. Colours and base cloths are only changed to offer diversity in the range. "Her work in print especially is a continuous research and exploration in form, colour and space," said Silver. 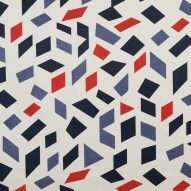 "Whether she is working in a one-colour small-scale geometric pattern or large-scale fluid shapes there is always the thread that connects her to her Bauhausian roots." 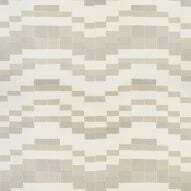 As well as designs using patterns and fabrics designed by Albers herself, Christopher Farr has also produced rugs from the works of Albers' mentor Gunta Stolzl, who was head of weaving at the Bauhaus school and the only female faculty member, as well as rugs by Albers' husband Josef. In January 2019 the brand will launch a further six rugs for the Editions range, three by Gunta Stolzl, two new designs from the Josef Albers archives and one from Anni Albers' work. The exploration of Bauhaus work at Christopher Farr began in 1995 when a San Francisco-based textile designer called Jack Lenor Larsen suggested the brand use the designs of Gunta Stolzl for a new collection. Christopher Farr then worked extensively with the Stolzl archives, and subsequently began working with the Josef and Anni Albers Foundation. The launch of Orchestra and Temple was timed to coincide with the celebration of the Bauhaus centennial and with an exhibition of Anni Albers work at Tate Modern in London. The fabrics and rugs were displayed for the first time at the Christopher Farr showroom during London Design Festival 2018. The Anni Albers exhibition at the Tate Modern runs until 31 January 2019.